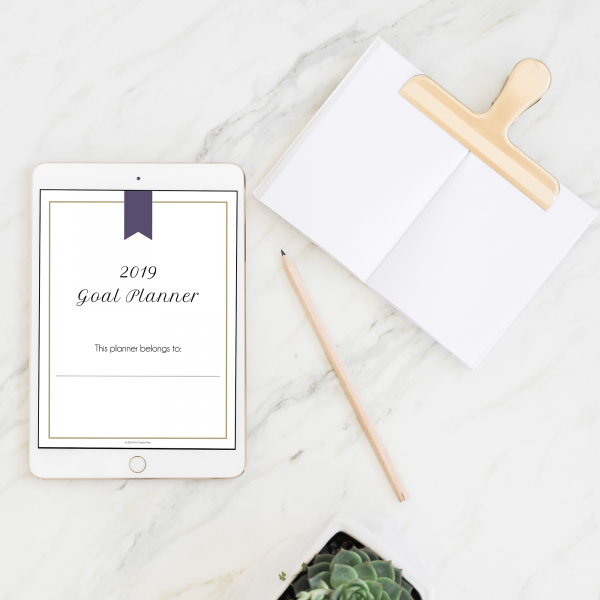 The all-in-one holiday planner is designed to be your one-stop spot for organizing everything you need to get through the holidays with minimal stress. It’s packed with over 40 pages of guiding you through all aspects of Thanksgiving and Christmas, complete with special holiday surprises to keep you in the holiday spirit. Your purchase comes with pdf’s in 3 sizes: letter, half-letter, and A5. And for a limited time you’ll get $50 worth of free bonuses! Browse the gallery to get a sneak peak! And in addition to all the practical guidance this planner will give you throughout the holiday season, you’ll find inspirational and cheery surprises throughout. From holiday quotes to a letter to Santa and a special Christmas cookie recipe, it’s all there! 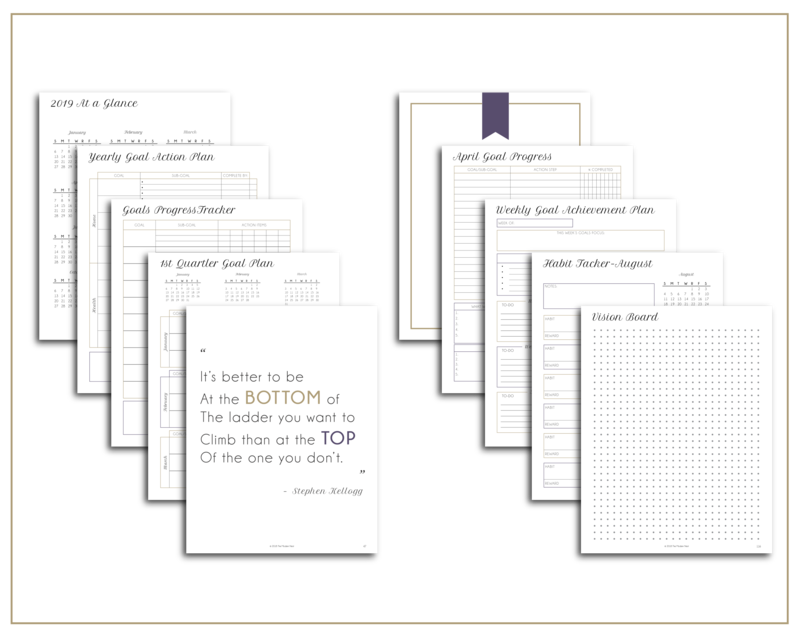 “This planner is THOROUGH. 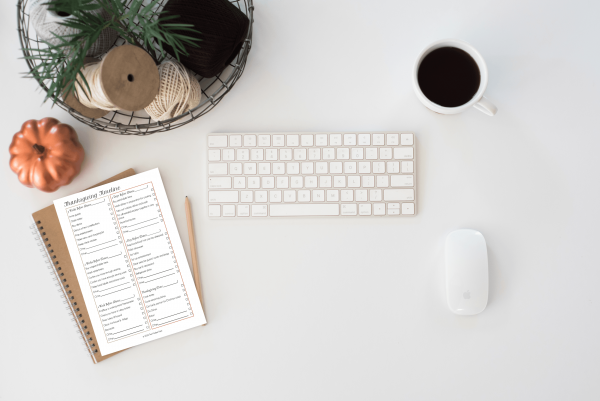 I love that it offered several ways to organize and schedule my plans, plus laid out an organizational approach I hadn’t considered! 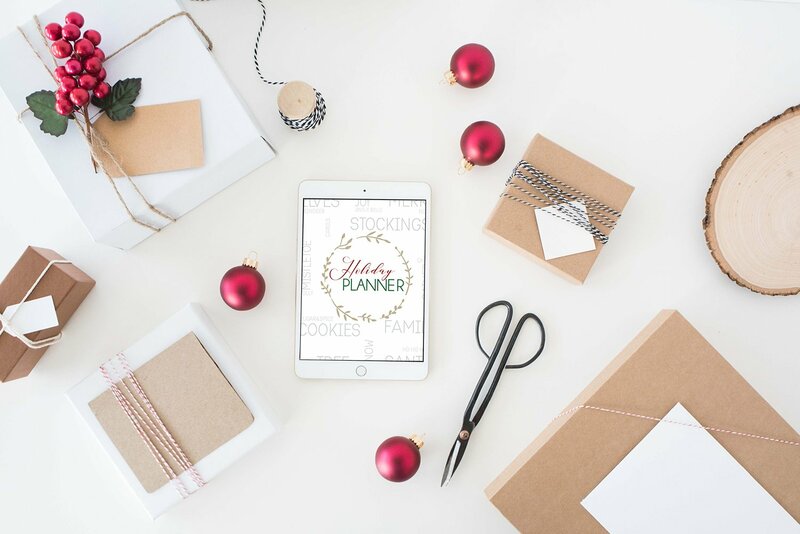 This is a great, central hub for all of my holiday planning needs!” – Debra P.
“I just wanted to say how impressed I am with your holiday planner! I think it’s simply beautiful and well thought out. It’s very organized and neatly done without any fuss or elaborate intricacies, which echoes the same sense of modern clean lines of your blog. 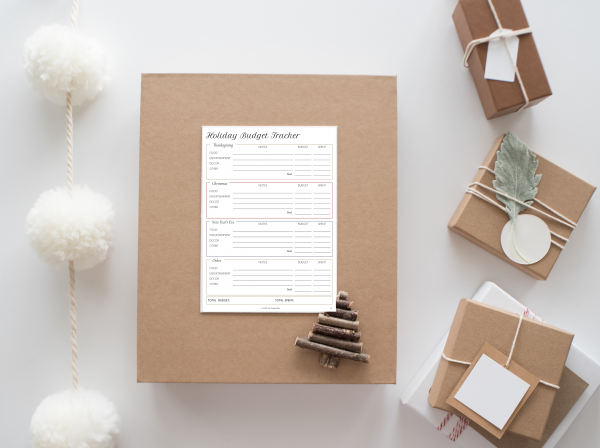 It has a style that is understated yet refined.” – Diana F.
What size does the holiday planner come in? 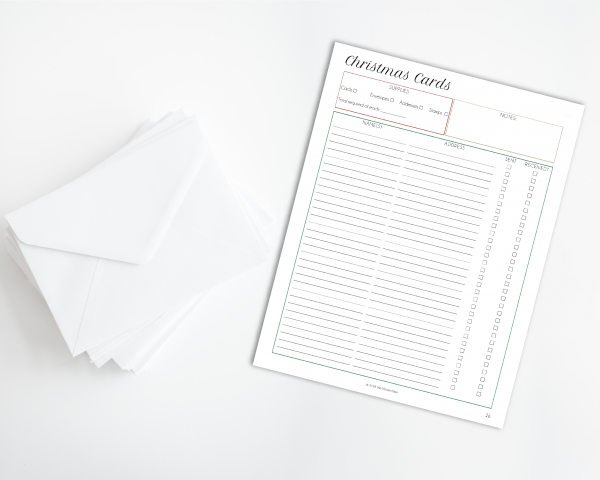 The printable holiday planner comes in letter, half-letter, and A5. And you will receive all three files with your single purchase! 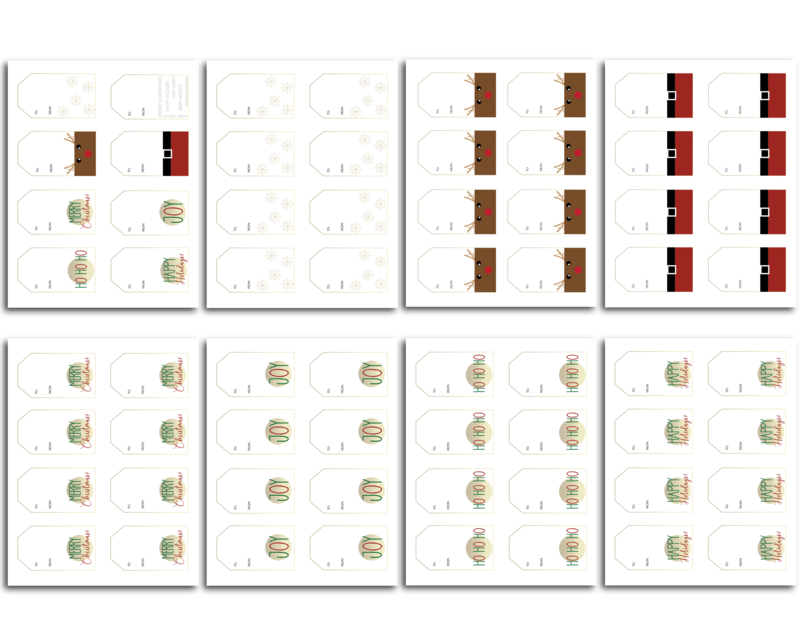 The bonus gift tag pages and 2019 Goal Planner currently come in letter size. The only part that’s dated is the Christmas timeline, as Christmas happens on the 25th of December every year. 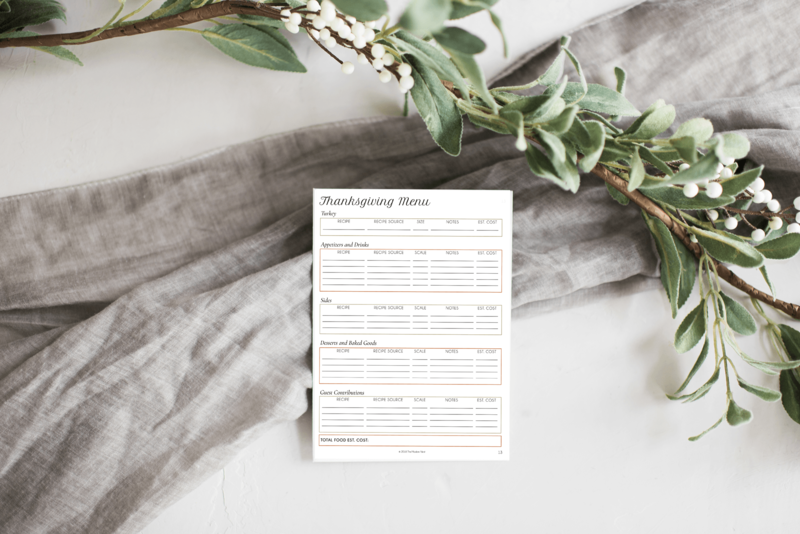 There are no year-specific dates, so you can print and use year after year! That said, you may not want to since we do make updates to it ever year too! Why should I buy your holiday planner? Simple…because your time is valuable! If you buy the printable holiday planner (and use it!) 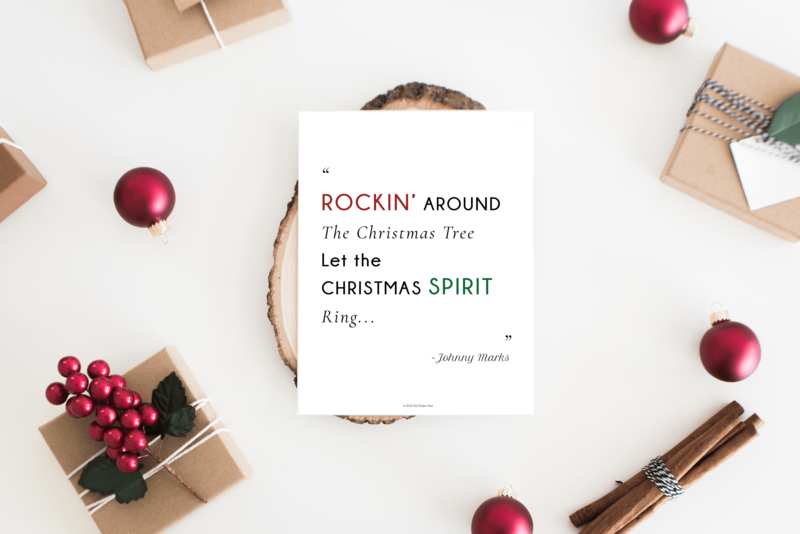 you’ll be in a much better position to flow through the holidays efficiently and organized so you have more time to enjoy yourself. If you are unsatisfied with your planner, please be in touch and I will see if there is anything I can do to help you! If you are completely unsatisfied, I can offer refunds on a case-by-case basis. 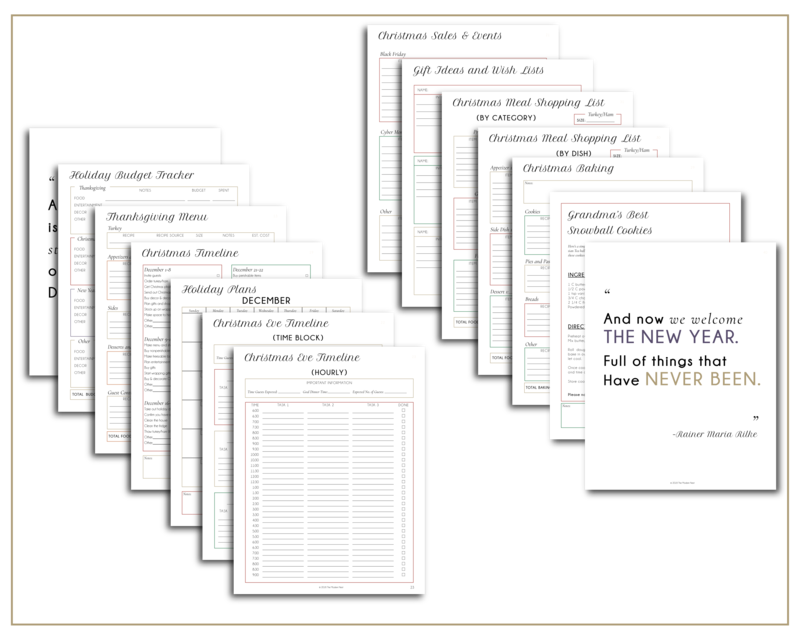 Bonuses: Get a set of holiday gift tags ($10 value) and the complete 2019 goal planner ($40 value) included!